Sony's new water resistant Xperia Tablet Z is definitely a head turner, with the company claiming it's the thinnest 10in tablet on the market. The Xperia Tablet Z's design is impressive but it also has an excellent screen and good battery life, and its water resistant capabilities are a big point of difference against competing devices. The Xperia Tablet Z is the first we've seen in a while that immediately impressed. The tablet market is becoming increasingly crowded but Sony has proven there is plenty of room for improvement when it comes to design. It's the first tablet we've seen in a long while that immediately impressed. Measuring just 6.9mm thick and weighing a mere 495g, the Tablet Z is extremely thin and light for its size and the weight is perfectly balanced. It's lighter, thinner and arguably more attractive than its two major competitors, the 4th Generation iPad and the Google Nexus 10. That's certainly no mean feat. We were initially concerned that the sharp corners may not be ideal for a tablet this size but our fears were quickly allayed once we picked up the Xperia Tablet Z. It's very comfortable to use regardless of whether you hold it single handedly, or with two hands. Further, the soft touch finish on the back is ideal for a tablet this size. It's comfortable to grip and ensures the device doesn't slip out of your fingers. The annoying flaps are a tradeoff you should be happy with given the water resistance. Sony really does deserve a wealth of credit for the Xperia Tablet Z's construction and there's also plenty of classy design touches. The small but well positioned aluminium power button, the rounded edges, and the smooth reflective surfaces on all sides are borrowed directly from the Xperia Z smartphone. All are welcome additions here. We also like the way the tiny notification LED on the left almost blends into the side of the device, along with the Infrared port along the top that's barely visible. The volume rocker on the left side does require a firm press but tactility is good. As the Xperia Tablet Z is water and dust resistant, all ports, including the left mounted headphone jack, and the bottom mounted micro-USB port and microSD card slot, are covered by plastic flaps. They're a little annoying to constantly pull off but it's a tradeoff you should be happy with given the water resistance. The microSD card slot on the bottom right is good news, particularly as you won't find it on the Xperia Tablet Z's two main competitors. The Xperia Tablet Z is 6.9mm thick and weighs an impressive 495g. The screen has impressive viewing angles and vibrant colours, but can't match the iPad or the Nexus 10. Another nice feature is the two speakers Sony has built into the Xperia Tablet Z. The speakers sit in the bottom corner of the tablet but actually have two sound outlets, one at the bottom and one at the side. This means the sound won't be blocked by your palm regardless of which way you hold the tablet. Unfortunately, the sound the speakers produce is best described as tinny. Listening at high volume also results in significant distortion and there is a real lack of bass. The Xperia Tablet Z has an LED-backlit LCD with a resolution of 1920x1200, giving it a pixel density of 224ppi. It can't quite match the 4th Generation iPad or the Nexus 10 in this regard, but it's a very good screen in its own right. 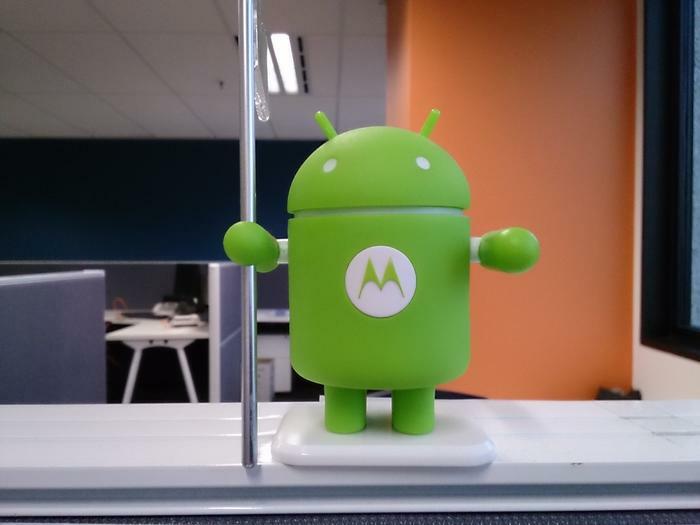 Viewing angles are impressive, colours are vibrant and the touchscreen is responsive. The screen is particularly excellent for both movies and games, producing deep blacks and accurate colours. Our only real complaint is the glossy surface. It's very reflective and hard to see in direct sunlight, or under fluorescent lighting indoors. The Xperia Tablet Z's screen is very reflective. Swiping between home screens often results in some slight lag. The Sony Xperia Tablet Z runs the 4.1 Jelly Bean version of Google's Android operating system, but is skinned with Sony's own UI overlay. This software overlay is largely minimalist and keeps a clean look and feel but it can be a little sluggish during basic tasks. The home screen is a particular issue as swiping between screens often results in some slight lag. It's certainly not crippling but it simply shouldn't happen on a new device with impressive internals. The UI uses the same standard home screen layout as stock Android with up to seven home screens for app shortcuts and widgets, an app drawer that can be sorted by alphabetical, most used, recently installed or your own order, and standard back, home and multitasking on-screen buttons. However, Sony has added a Google search button with voice shortcut on the top left, an edit button to add widgets, apps, wallpapers and themes on the top right, and shortcuts to the remote control function and small apps in the bottom dock. All are useful inclusions. Sony has used its own keyboard on the Tablet Z and it's not very good. 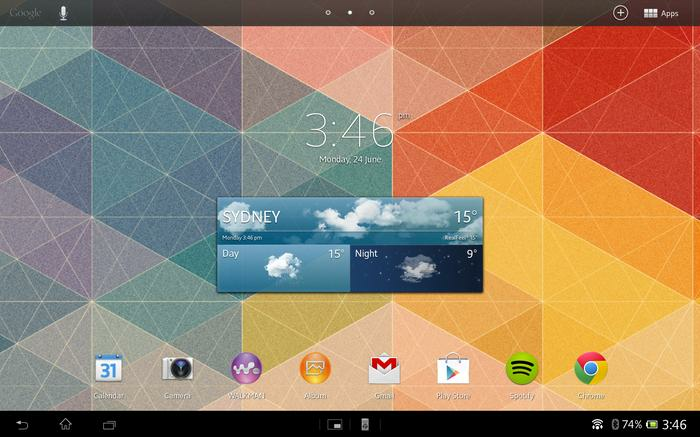 Sony pre-loads the Xperia Tablet Z with far too many apps you'll more than likely never use. While they're easily removable, you'll need to spend a good half an hour setting up the tablet and uninstalling apps like Socialife, Sony Select, PlayNow, Wi-Fi checker and Garage. Sony's Video Unlimited and Music Unlimited apps are far more useful if you're not already subscribed to alternative services, while the TV SideView app is a useful inclusion that displays an EPG for free-to-air TV in Australia. Sony has used its own keyboard on the Tablet Z and it's not very good. It does offer gesture typing but it's not as reliable or effective as third party options like Swype or Swiftkey. Given this is a large tablet device and swiping to type isn't as effective as a smartphone, we recommend using the stock Google Android keyboard which recently became available as a free download in the Play Store. 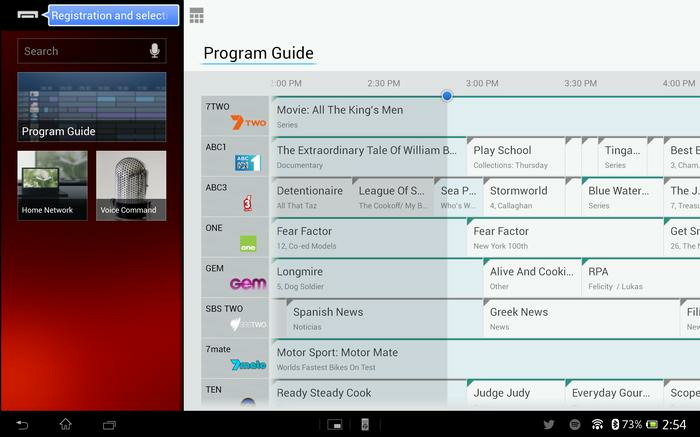 The TV SideView app displays an EPG for free-to-air TV in Australia. The Xperia Tablet Z handles most graphically intense games without any issues. Although Android tablet apps continue to evolve and improve, there aren't enough apps on the Google Play Store designed specifically for a tablet of this size. This means many apps don't work as well as they should on the Xperia Tablet Z, though it's important to note that the issue lies with Google and third-party developers, not Sony. The latter has produced a very good piece of hardware, but it needs tablet apps to match that experience. The Sony Xperia Tablet Z offers largely impressive performance. It handles most graphically intense games, such as Real Racing 3, GTA III and Dead Trigger, without any issues. There's still the occasional stutter in the default Google Chrome browser, and some apps do take a little longer to load than expected, but the Xperia Tablet Z's 1.5GHz quad-core processor and 2GB of RAM keep things running pretty smoothly. The Xperia Tablet Z is water and dust resistant. The lens position makes it difficult to correctly frame photos. The Sony Xperia Tablet Z has an 8-megapixel rear-facing camera for still photos and HD video, along with a front-facing 2.2-megapixel camera that also doubles as a full HD video recorder. The latter takes ordinary still photos but full HD video from the front camera is reasonably impressive, especially since you'll more often than not be using this over the rear-camera. We still don't understand the point of a rear camera on a tablet this size and Sony's is made worse by the fact that the small lens is situated right in the top left hand corner. This makes it difficult to correctly frame photos. The Sony Xperia Tablet Z has solid, but not outstanding battery life. It lasted almost seven and a half hours during our test period, over the average result for an Android tablet this size. It's of course not as power efficient as Apple's latest iPad, but it should still last most users between two or three days, depending on usage patterns. Sony currently sells the Xperia Tablet Z in Australia in three variants, a Wi-Fi-only model in 16GB and 32GB storage capacities and a 4G model with 16GB of storage. These variants of the device retail for $539, $649 and $679, respectively, in both black and white models.